In 1991 the epic film, Spartacus, went through a major restoration. Utilizing new technology, in 2015 the newest digital restoration of the film was undertaken and the result is this “Restored Edition” disc, which is bright, sharp, and the clearest version of the original release in 1960. This is a fictionalized version of the story of the real Spartacus, a slave and gladiator who actually did lead escaped slaves in a rebellion against the Roman Republic. Yes, it’s violent with some bloody and gruesome scenes, however the acting is top notch, with Laurence Olivier, Charles Laughton, John Gavin, and Tony Curtis joining Kirk Douglas, Jean Simmons, and Peter Ustinov in leading roles. 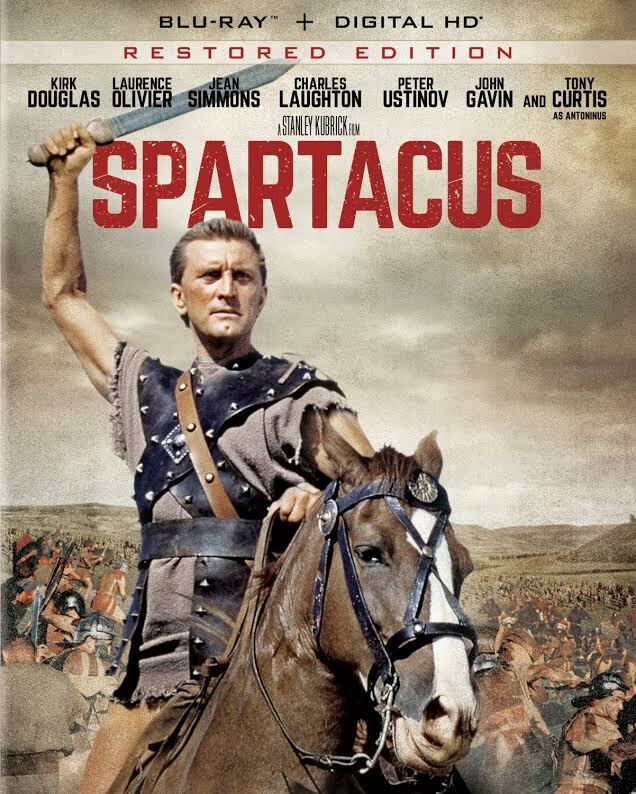 Spartacus (Kirk Douglas) had been raised a slave. He was then bought and trained as a gladiator to fight against other slaves. Unlike many of the others, Spartacus retained his sense of self and dignity, and when the opportunity arose, he, and all the other gladiators, overran their oppressors and escaped to freedom. As they marched through the Roman Republic, their numbers increased when other slaves joined them and soon the army of former slaves presented an embarrassment and a problem for the Roman Senate. In the end, their might and resolve was not enough to win against the mighty Roman Republic. The bonus features in this edition include a look at the restoration process from the original negative. There are archival interviews with Peter Ustinov and Jean Simmons, two of the stars, as well as an inside look at how a scene was set up for filming. There are also some deleted scenes. What might interest viewers most is the fairly new interview with Kirk Douglas. Douglas suffered a stroke in 1996 and his vocal ability has been extremely diminished, however his memories of the film remain crystal clear. It might be a bit bothersome for fans of this charismatic and iconic actor to see him in this state, however it is extremely interesting to hear his stories. For instance, he divulges that director Stanley Kubrick wanted to cut the “I am Spartacus” scene, undoubtedly the most memorable scene in the film. 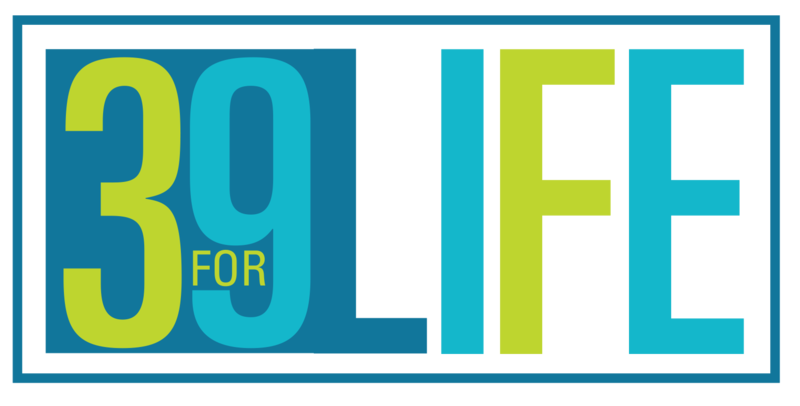 Vintage newsreels and image galleries as well as the theatrical trailer round out the bonus features. 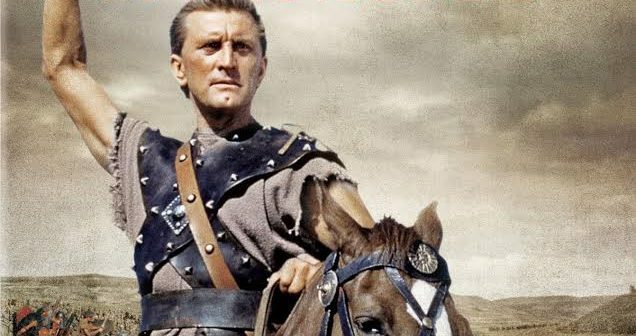 Kirk Douglas is probably best known for his role of Spartacus. The film garnered four Academy Awards and the Golden Globe for Best Motion Picture Drama.